Asking someone to participate in science advocacy is either met with an enthusiastic smile, a blank stare, or a hard grimace. While some scientists wholeheartedly consider themselves advocates, others are hesitant to identify that way. Just as many people might think all scientists wear white coats and have wild hair, we might think of the stereotypical advocate as someone who is always lobbying on Capitol Hill. But just as scientists are fighting to show diversity in the definition of scientist, we should also be expanding the definition of advocate. Having hard absolutes, i.e. you either lobby or do nothing, without any in-between, makes it harder for anyone to feel like they can get started, contribute in a meaningful way, and support others. There are several reasons why someone might hesitate to be an advocate - time commitments, stigma from peers/department, lack of experience, etc. - but by having a broad view of advocacy as a spectrum, with several levels of engagement, we can alleviate a lot of those hesitations. Personally, my definition of advocacy is pretty close to the dictionary’s, “public support of a cause.” What it looks like, however, can be any number of things - speaking up and engaging in a meaningful conversation, providing space for others to share their viewpoints on a cause, writing a letter to the editor, helping an advocacy group research a report, meeting with a legislator about a specific topic, and on and on up the ladder. Deciding the type and level of advocacy you want to engage in also makes it more genuine and more likely to actually happen. Instilling the broadest sense of what an 'advocate' is will hopefully allow people to find their niche. It also facilitates collaboration between undergraduates, graduate students, postdocs, faculty, staff, and community members, as the definition can encompass everyone. 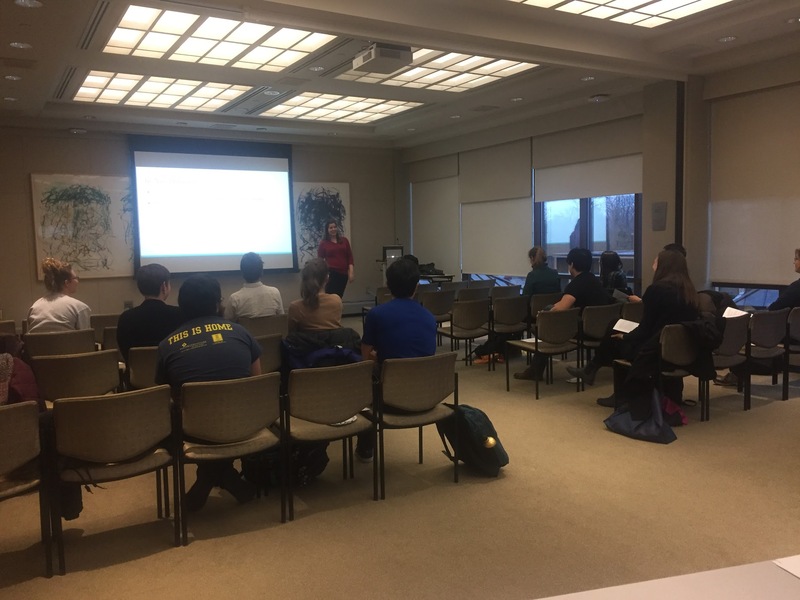 Last year, I helped start Engaging Scientists in Policy and Advocacy, an advocacy group at the University of Michigan. Although I had no formal training nor much experience, there was a ton of energy in my community that I wanted to channel in positive ways. I started by recruiting the smartest, most engaged people I knew, and we connected with many other groups on campus to figure out the niche we could fill. It became apparent that young scientists wanted a venue to learn key communication and advocacy skills, and utilize them. Thus, we’ve focused on providing training workshops followed by implementation. For example, we’re hosting workshops based on the Know Us Project that will lead to an Ask a Scientist bar night. The Know Us workshops will train scientists, regardless of science communication experience, to have productive one-on-one conversations that may sway public opinion. We anticipate this training will be key for having meaningful conversations about science with strangers in local bars. Additionally, we’re pushing forward with several science policy initiatives. We are currently organizing a consensus conference about autonomous vehicles. We recruited a representative citizen panel that will engage with experts around their concerns with self-driving cars. This will cumulate in a written report and case study, which we will hopefully use to advocate for citizen voices in typically expert-dominated policymaking. The amazing thing is, none of us have done these activities before! It's truly mind boggling when scientists refuse to consider themselves advocates in any sense of the word. Every time you present your research, you're advocating for your work - why it's important, why it matters. You're also likely doing it for a skeptical audience anyway, since scientists are trained to question everything, so why not do it for a skeptical lay audience, especially one that influences policies that affect you? We're trained to see the big picture and use evidence, key skills for advocacy - let's use them that way! Sara Wong is a doctoral student in cellular and molecular biology at the University of Michigan in Ann Arbor. You can find Sara on Twitter and learn more about her and her work though her Trellis Q&A.